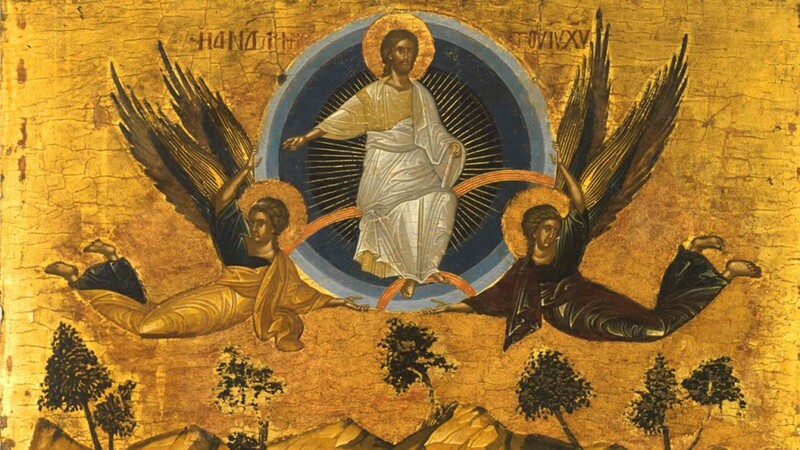 Christ is Ascended to the heavens! And we with Him! 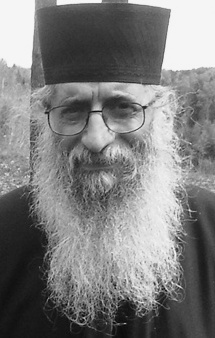 This sermon was originally given at the Monastery of St. Jacob the Persian in Deddeh on June 2, 2011. The Arabic original can be found here. On this day we celebrate the Ascension of our Lord and God and Savior Jesus Christ from earth to heaven in his glorified body. You have heard about the event of the Ascension from the Evangelist Luke and from the Acts of the Apostles, which Luke also wrote. In Luke, the event is tied to the Resurrection, while in the Acts of the Apostles it comes forty days after the feast of the Resurrection! In Luke, Christ appears to the disciples risen from the dead after a discussion of how is body is of flesh and blood, but this body that is risen from the dead is separated from them. He leaves the earth after fulfilling his dispensation of salvation. He goes to heaven, upwards, and the disciples return to Jerusalem, as the Gospel says, with great joy. After that, they began to meet in the temple, praising and glorifying the Lord. What is the purpose of this feast and what is its meaning? Why all this salvific dispensation? The Lord achieved in himself what he wants us to achieve in ourselves. The Fathers say that Christ’s ascension to heaven is also our ascension to heaven. In his letter to the Philippians, the Apostle Paul clearly says that our true homeland is in heaven with Jesus Christ, who is glorified unto the ages. Our life on this earth is a passing prelude to true, eternal life. This is the meaning of the Feast of the Ascension. We are called to grow toward the true homeland, which is heaven, that is the Kingdom! Here we live by the Holy Spirit, whom the Church considers to be the pledge of eternal life. This is the meaning of the monastic life. Why did the monastic life arise? Because the monk always gazes toward his true homeland, to this angelic kingdom which awaits him while he is on earth. He suffers, but he also rejoices that the Spirit of God is within him, the Holy Spirit. He rejoices in having received this pledge from now on. As the Holy Fathers say, we now live in our heavenly homeland. We taste this country ahead of time. We have a foretaste and we wait patiently to go where the Lord Jesus went in glory and sat at the right hand of the Father. And we will live with him forever, amen. Share the post "“Christ’s Ascension to Heaven is Also Our Ascension to Heaven”"